Nancy's Nook : Thank you, Francisco. When I was a freshman in college, having fun, making new friends, and getting more educated, a fellow Missionite was giving his life for me in Vietnam. 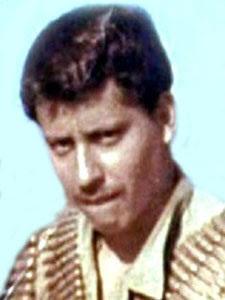 Francisco Quintanilla, Jr. was the first person I knew who died in Vietnam. I was so very sad when I heard the news. And it put my life in perspective, somehow. I remember Francisco (Frank) being handsome and quiet, but I didn't know him personally. He died in February, 1971. I found this picture of him, with his medals beside his picture, but could only get his picture on this blog post. If you knew him well, please leave a comment here or on Facebook about what he was like, so as to honor him. He particularly deserves our tribute this weekend. It's odd but I don't remember very many other people whom I knew who died in their service for our country. Well, I do know of a little neighbor who used to play with Will as a little boy: Stephen Tucker. He died in Afghanistan. I learned of it when I was watching the local news in 2001, I think. It was devastating. And the son of a close Mission classmate of mine died for our country, too, though I don't know where. This has been my meager attempt at memorializing those who have given their lives for our country. Thank you, Francisco, and Stephen, and Henry's dear son.